Connectivity and user experiences driven by the Internet of Things (IoT) and mobility – the key trends to keep an eye on for Samsung Electronics South Africa in 2016. Organisations that are prepared to utilise technologies that leverage relationships and engagement are well placed to remain competitive in a challenging economy. The Business-to-Business (B2B) market is in a strong position to evolve alongside the changing demands of clients and provide the applications they will need to succeed. It is important to note that, IoT is not just for the smartphone and tablet. Any smart technology, which includes white goods and printers, can be tailored and transformed to provide integrated data – making life easier for both businesses and consumers.1According to statistics, more than 50 billion appliances globally will be connected to the internet by 2020 with an economic value of nearly $US 2 billion. Africa has already adopted the technology with a total of 128 million people, 52% of the global market, connected to one another in the mobile and machine to machine spaces (M2M). The connected retail space isn’t new, but the futuristic view is rapidly becoming a daily reality. As an example, consumers in Japan are already talking to lifelike robots instead of shop assistants. In South Africa, e-commerce is improving in both functionality and adoption – which offers an opportunity for businesses to improve their engagement with consumers. Nevertheless, foot traffic remains alive and well and this means that retailers must still invest in signage and messaging that is relevant and visible. “Retailers need to merge the physical and digital to create inspirational and relevant shopping spaces,” says van Lier. “Consumers don’t just buy anymore; they want to experience and engage with a brand and product. Of course, connectivity is as important within the enterprise space and this year is likely to herald a shift in innovation and development. Office infrastructures are evolving to support the mobile employee and wireless technology is core to this process. 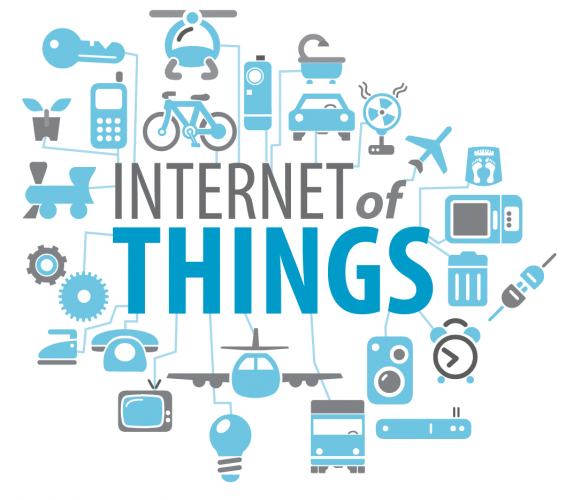 IoT allows for the operational integration of connected devices to the right technology in order to allow communication to be effective. To discover more, please visit Samsung's official website at www.samsung.com and official blog at global.samsungtomorrow.com.